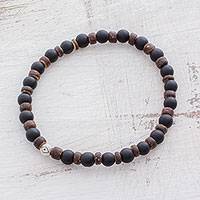 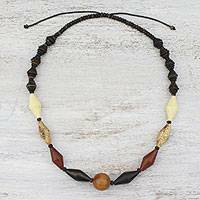 Men's Onyx Coconut Shell Sterling Silver Beaded Bracelet, "Conqueror"
Wood and Coconut Shell Beaded Necklace from Thailand, "Thai Traveler"
Exotic beads crafted from assorted woods and coconut shell line a black cord in this long beaded necklace. 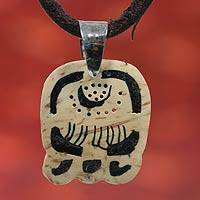 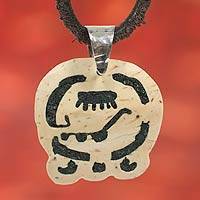 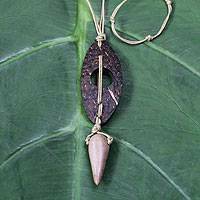 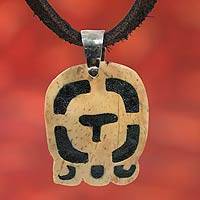 From artisan Shutikarn Kantung, the necklace offers a natural appeal with its rugged design. 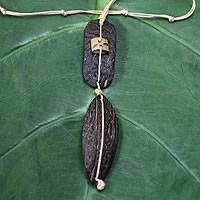 Papier Mache Seashell Necklace in Blue from Thailand, "Seashell Spiral in Blue"
Brown Leather Coconut Shell Pendant Wristband Bracelet, "Powerful"